We struck out on the Lapwing and moved on to Salem, NJ. There had been a Crested Caracara in the area most of the winter. It had been feeding on carrion in the Featherbed Lane, across Auburn-Sharptown Road area. Rick and I spent a few hours cruising the roads in the area, We didn’t see the Caracara, so off we went in seach of the nearest Comfort Inn. I needed a good nights sleep, lots of miles of driving had taken their toll. Once we’d had some dinner and returned to our room, I checked the ABA Rare Bird Reports. 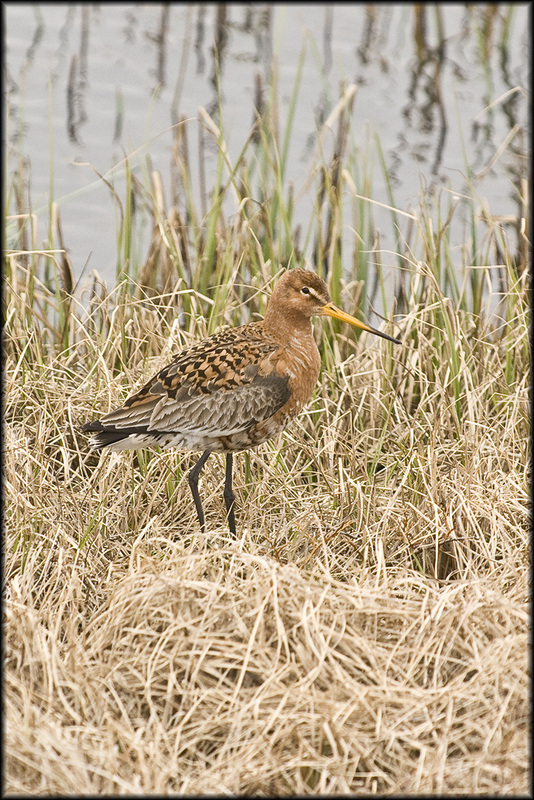 I found that a Black-tailed Godwit was being seen in Virginia. 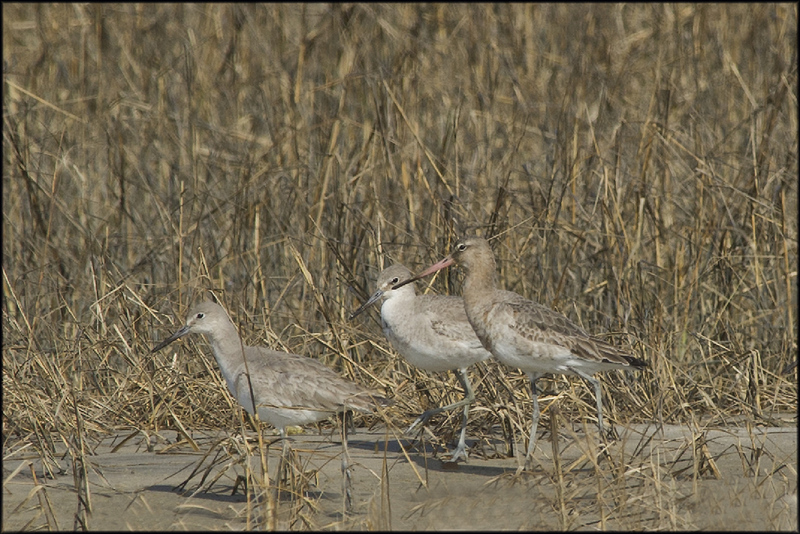 It had been spotted in the Chincoteague NWR ( National Wildlife Refuge), on Chincoteague Island. This was another 3 hours south of us. We had a hard decision to make: drive in search of the Caracara and bird Cape May the next day or go for the Godwit. The Godwit was a lifebird for Rick and I. The Caracara was a life bird for Rick. We had a lengthy debate and then decided to sleep on it. When the wakeup call came at 6am, We both decided the Godwit was worth the drive. We could also search for a Caracara that was seen in Delaware in the afternoon. We drove straight to the spot, 187 miles, pulled into the parking area and saw the birders, scopes and cameras. Bird #637 was in the books. The 2nd photo shows the bird in breeding plumage, taken in Iceland. 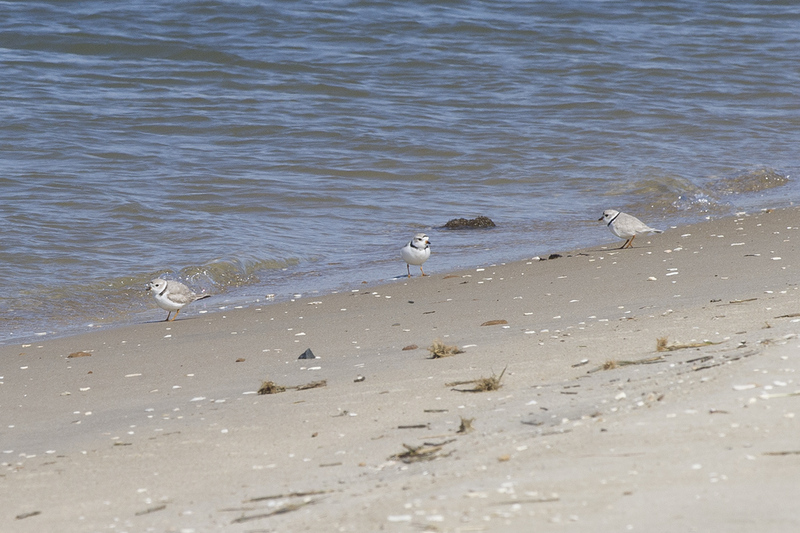 We also found 3 Piping Plovers on the beach and I managed to get a flight shot (inset), the small raptors were constantly harassing the shorebirds. The Godwit was a bit further out than I would have liked for a great photo but with the number of people who were enjoying this bird and those still to come. A distant photo served the purpose.